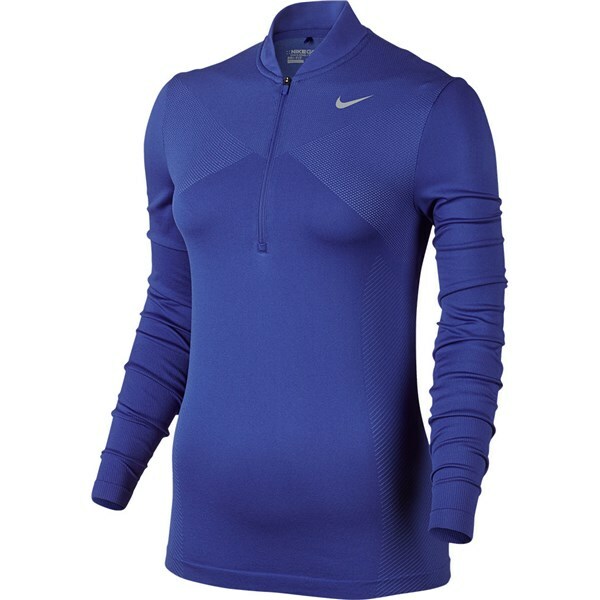 The Nike Ladies Zonal Cooling Dri-FIT Knit Half Zip Top provides an exceptional levels of comfort, breathability and style. 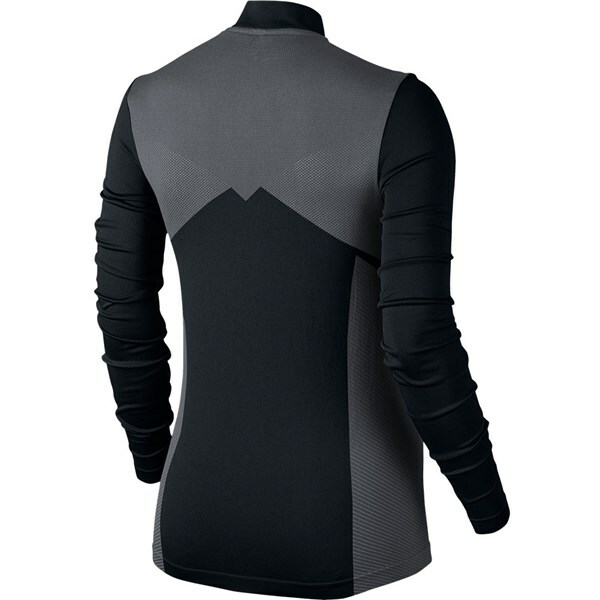 A lightweight, stretchy Dri-FIT fabric ensures your range of motions will not be restricted while swinging the club and that you will not overheat as any excess moisture will be wicked away to keep you dry and more comfortable. A contoured cuff design provides extra warmth to your hands, the half zip top design provides excellent ventilation and makes the top easier to take off and put on. And the contrasting colour blocking on the sides a chest provides a stunning flattering fit. Knit fabric provides ultimate stretch and comfort. 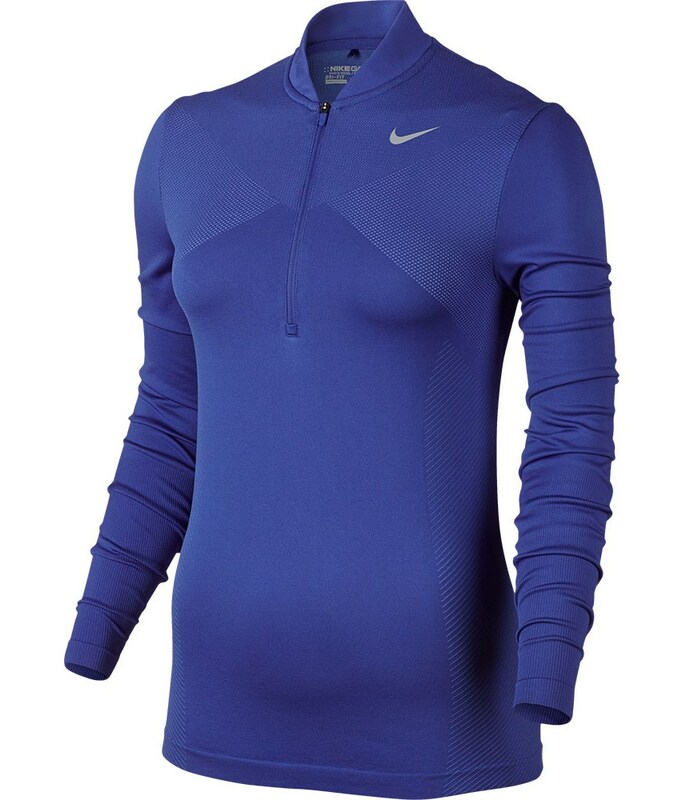 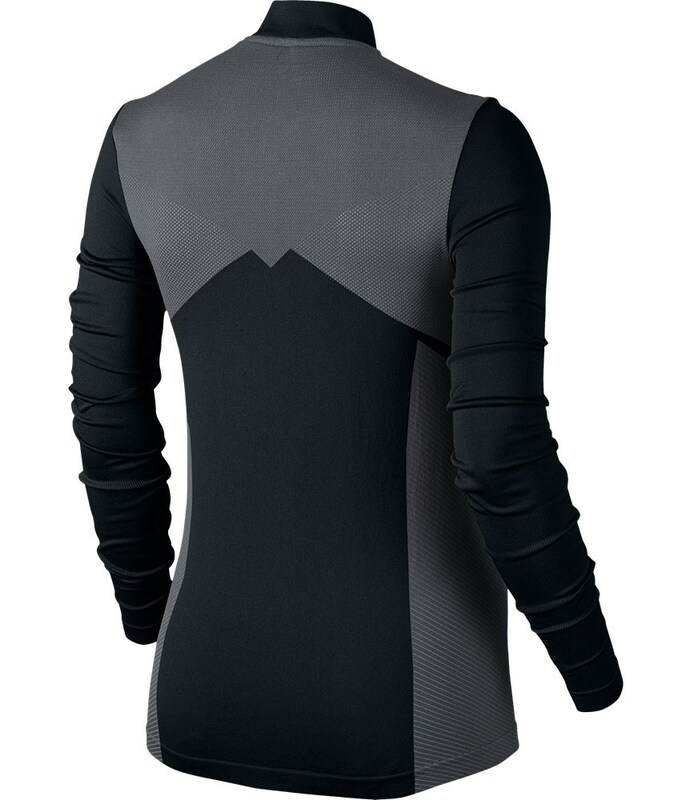 An open-knit design in high-heat zones helps enhance breathability. 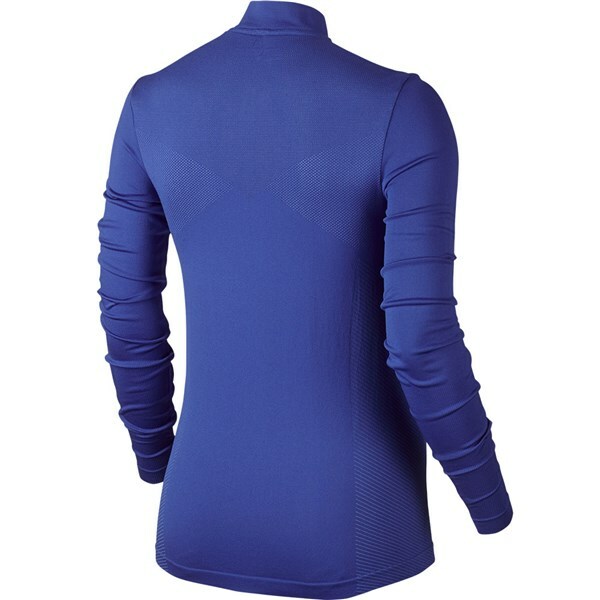 Contoured sleeve cuffs provide additional coverage for your hands.